DeKalb West School student Alex Antoniak took first place at the Tennessee Tech Math Contest. He was one of 107 students who had entered. Six students from each 6th-8th grade level represented DeKalb West School at last Thursday’s event. 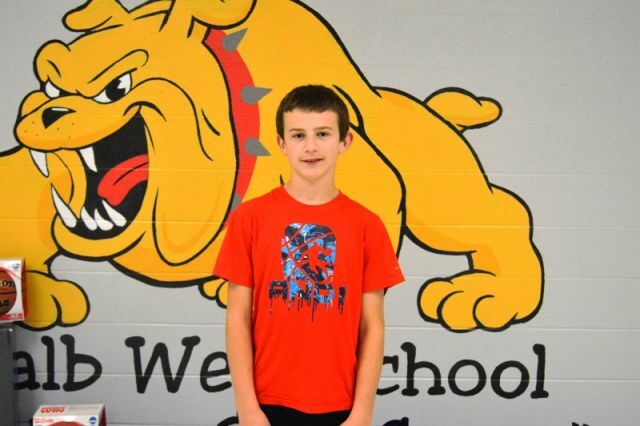 In addition to Antoniak, 6th graders Zoi Hale, Blair Gipe, and Jackson Vantrease competed. 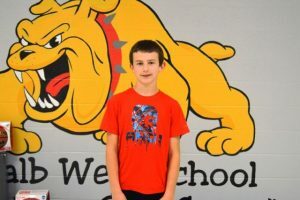 Students representing DWS from 7th grade were Aly Griffith, Alex Moreno, Madison Martin and Isaac Brown, and from 8th grade were Breanna Cothern, Victoria Rodano, Brayden Antoniak, and Hagen Waggoner. 8th grade teacher Karen France oversaw the DWS students at TTU. Pictured front row left to right are Zoi Hale, Blair Gipe, Aly Griffith, Alex Moreno, Alex Antoniak, and Jackson Vantrease. Back row left to right are Breanna Cothern, Victoria Rodano, Madison Martin, Isaac Brown, Brayden Antoniak, and Hagen Waggoner.